Jurassic Park in a sense was shot in my mind in 3D. As someone who has been skeptical of converted 3D movies, Spielberg’s enthusiasm makes a very good case that the rerelease isn’t just a crass money grab. The director of the summer 1993 blockbuster said that he was inspired by last year’s 3D rerelease of Titanic. 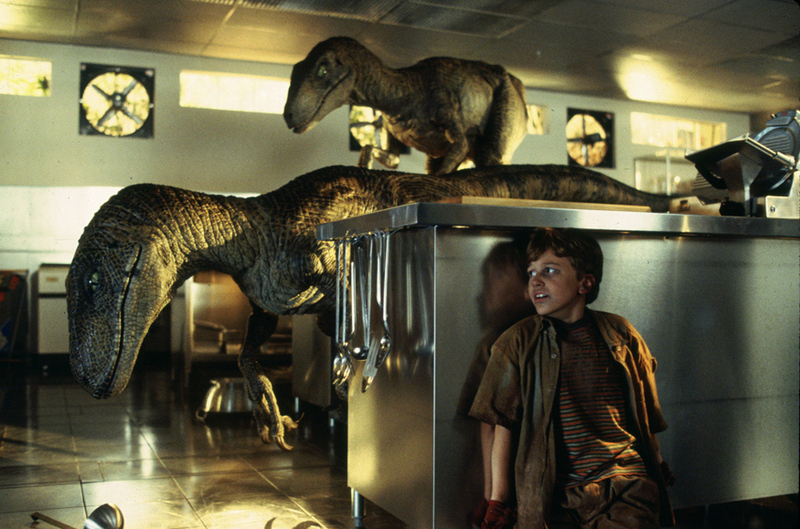 The kitchen scene works great because there’s so much distance between the end of the long counters and the door where the two raptors enter. So you really get a tremendous sense of perspective, which we never had before in just two dimensions. Jurassic Park 3D opens in theaters across the country next week and the question remains whether ticket buyers will be lining up at the box-office and see it. The response to the movie will have an impact on the future of converted 3D releases. Careful selection of titles seems to be the key factor to whether they are lucrative draws or not. So far The Lion King in 3D, which grossed $94M is the biggest hit of the converted genre. 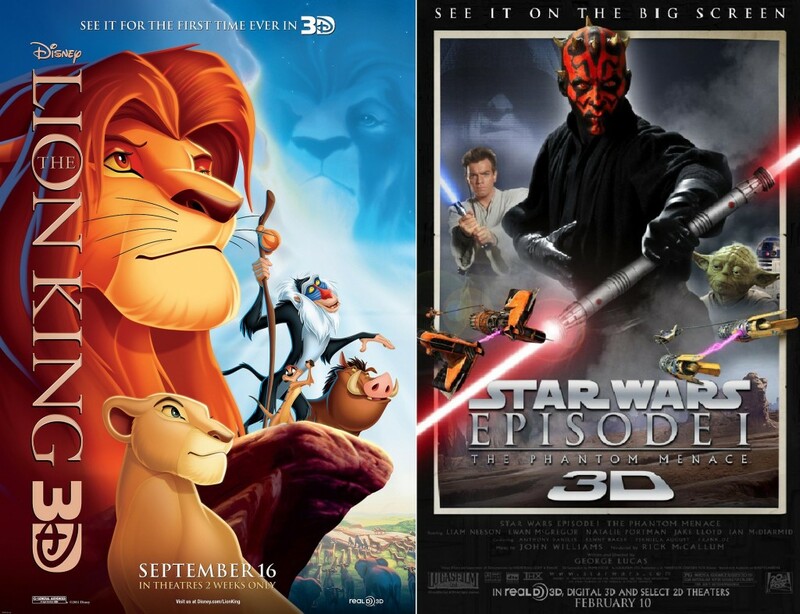 Star Wars: Episode I – The Phantom Menace that followed, was not, grossing only $43M. After its lukewarm theatrical reception plans to rerelease the other two prequels were cancelled.